We're almost there! The 2013 I2SL Annual Conference is right around the corner. I2SL is ready...are you? While we are all still getting used to the new conference name, I want to reassure you that the content and quality you expected from the Labs21 Annual Conference will be ever-present at the 2013 I2SL Annual Conference. We continue to have the support of the U.S. Environmental Protection Agency (EPA) and the U.S. Department of Energy (DOE) in moving forward with our activities. Other organizations supporting our event range from those on the attendee list for the first Labs21 Annual Conference in 1999 to new organizations eager to become involved in our great, niche community. We are not alone in believing that I2SL has the ability to carry on where Labs21 left off. Keep up with advancing sustainable laboratory and related high-technology facility planning, technologies, and equipment. Join us at the 2013 I2SL Annual Conference! Throughout this newsletter, you will learn more about what we have planned. Read on to find out what you can expect, and we hope to see you next month in Minneapolis! Reserve your Technology and Services Fair booth. Only a few spots remain! Register for a booth today. Register on or before September 13 to save more than $100. Sponsor the conference to get the maximum exposure for your organization. You have until September 13 to save more than $100 on the onsite registration fee, so register now! In addition, federal employees can enjoy a reduced $650 registration fee, and full-time students can register for $100. 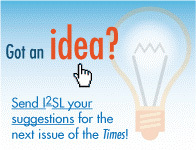 Visit I2SL's website to learn more and register. Since 1999, the Labs21 Annual Conference has attracted the top minds in developing and maintaining sustainable laboratories and other high-tech facilities. As cosponsor of the Labs21 Annual Conference since 2006, I2SL again ensures that the 2013 I2SL Annual Conference will provide the same, unparalleled educational and networking opportunities seasoned attendees have come to expect, with even more opportunities to learn from industry experts on the most effective ways to create and maintain sustainable laboratories and other high-tech facilities. Don't miss your chance to be part of this one-of-a-kind event and to learn what the best and the brightest have to share on developing and maintaining sustainable, high-tech facilities. Science Parks are Taking Over; Do You Know Why? I2SL is excited to introduce the keynote speaker for this year's conference: Peter Why, Vice President at GNS China. For more than 17 years, Mr. Why has undertaken more than 20 international consulting assignments for the planning and establishment of science parks. While working in China, he was the team leader for the World Bank review of the country's more than 50 science parks, the largest review of its kind. Mr. Why will describe the expectations, sustainability objectives, and challenges has encountered working on science parks in China and around the world. Join us for the opening plenary session on Tuesday, September 24, to hear Mr. Why tell of his experiences with science park development worldwide, and where the United States stands, especially in comparison to China, in its development and sustainability of these cutting-edge campuses. 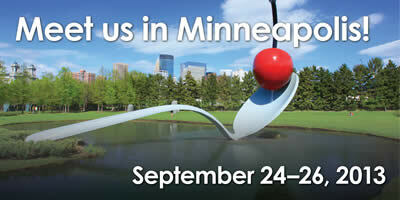 Take it from I2SL...the Hilton Minneapolis is where you want to stay during the 2013 I2SL Annual Conference. We know because we've stayed there! Not only is the Hilton Minneapolis ideally located for a convenient, covered walk to the Minneapolis Convention Center, but conference attendees can enjoy a discounted room rate of only $159 per night, including in-room Internet! As if all of that wasn't enough to encourage your stay at the Hilton Minneapolis, you can also rest assured at the Hilton knowing that you're helping I2SL. Meeting our room block minimum means we can spend conference revenues on planning a great event in 2014. Help us out by booking your room at the Hilton Minneapolis before the room block expires on Friday, August 23. 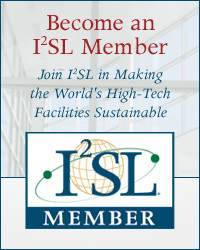 With around 350 organizations focused on the development and maintenance of sustainable, high-tech facilities typically in attendance, the audience at the 2013 I2SL Annual Conference is poised for industry manufacturers and service providers to market to this niche group of professionals. Don't miss your opportunity to get the ear of our influential attendees. Sign up to participate in the Technology and Services Fair today. Organizations interested in demonstrating their technologies to our audience are also invited to present a technology demonstration. Contact I2SL to find out more. Join I2SL for a night with the Minnesota Twins as they take on the Detroit Tigers. A group of tickets has been reserved for the game on Wednesday, September 25, at 7:10 p.m. Central at Target Field, which is about one mile from the Minneapolis Convention Center. The Twins have offered 2013 I2SL Annual Conference attendees discount tickets for $19 each, which can be purchased through the Minnesota Twins website. Reserve your seats today! I2SL is grateful for the support of this year's conference sponsors. If you would like to support I2SL, it's not too late for your organization to receive recognition throughout the 2013 I2SL Annual Conference. Contact I2SL today for more information. See all of I2SL's 2013 Annual Conference sponsors. This summer, I2SL welcomed its first two chartered Chapters to the I2SL family. The Colorado Chapterled by Chapter President Kevin Brettmann, JE Dunnand Windy City Chapterled by Chapter President Marvin Kirshenbaum, Argonnne National Laboratorywere both officially chartered as I2SL Chapters and are already active in planning educational opportunities, events, and other activities in their regions. 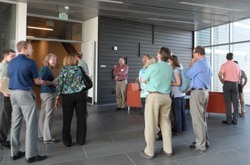 I2SL's Colorado Chapter tours NREL's Energy Systems Integration Facility. On June 27, the newly formed I2SL Colorado Chapter had a business meeting, presentation, and tour of the National Renewable Energy Laboratory's (NREL's) new Energy Systems Integration Facility. The 22 attendees were given the tour by Otto Van Geet and Chris Ravenscroft of NREL. After the meeting and tour, a reception was held, and a good time was had by all. 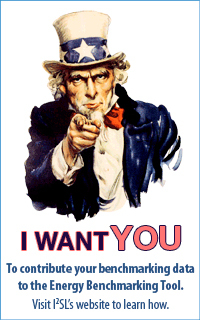 If you're interested in joining I2SL's Colorado Chapter, please contact the Chapter. The I2SL Windy City Chapter will have a holistic discussion on how demand-based control of lab air change rates, chilled beams (e.g., hydronic cooling), and variable-air-volume exhaust fan control have been successfully employed to safely reduce lab airflows to as low as two air changes per hour, cutting energy consumption significantly. Several case studies will be provided, as well as the results of a sophisticated lab energy analysis tool to determine potential energy and capital cost savings for a typical lab building. This inaugural Chapter event will be held on Monday, August 26, from 5 to 7 p.m. Central at the University of Illinois at Chicago, Student Center East, 750 South Halsted Street, Room 613. This event will be worth one health, safety, and welfare learning unit through the American Institute of Architects. Interested professionals in the Windy City region may register for this event by emailing the Windy City Chapter. If you are interested in joining I2SL's Windy City Chapter, please contact the I2SL Windy City Chapter. I2SL is working with leaders in several other regions to form additional I2SL Chapters. Check out I2SL's Chapter Kit to find out what it takes to start a Chapter, and contact I2SL if you are interested in forming or joining a Chapter. The Federal Energy Management Program (FEMP) has issued a Notice of Intent (NOI) to provide grants for capital projects to federal agencies through a Funding Opportunity Announcement (FOA) entitled, "Assisting Federal Facilities with Energy Conservation Technologies (AFFECT)." The grant will provide direct funding for combined heat and power (CHP) and renewable energy projects. FEMP is offering technical assistance to all federal agencies prior to and in anticipation of the FOA. To initiate a request for technical assistance, please contact David Boomsma for CHP and Boyan Kovacic for renewable energy projects. Grant recipients are expected to significantly leverage FOA funds using Agency-appropriated funds or alternative project financing mechanisms, such as Energy Savings Performance Contracts (ESPC), Utility Energy Service Contracts (UESC), or Power Purchase Agreements (PPA) to complete the projects. All projects should lend themselves to follow-on replication efforts at additional federal sites. The actual FOA will likely be issued in late 2013. Applications will be collected following the FOA. For more information, please view the NOI. Did you know you could qualify for tax deductions of up to $1.80 per square foot for whole-building performance and partial deductions for improvements in the areas of lighting, HVAC, and building envelope? These deductions are part of the Energy Policy Act of 2005, but they could go away at the end of this year if they are not renewed as part of the Commercial Building Modernization Act. If the act passes, it will be a huge benefit to laboratories, especially those owned by nonprofit organizations, which are not currently eligible. Learn more about the initiative to pass the Commercial Building Modernization Act and what you can do to help. I2SL's progress on the use of Building Information Modeling (BIM) for facility operations, maintenance, and management will soon be made public. I2SL developed an article with Terence Alcorn, Alcorn Associates; Deke Smith, buildingSMART alliance; and Igor Starkov, Ecodomus, Inc.; that will be published in soon-to-be-released issues of Laboratory Design Newsletter, Building Operation Management magazine, and the Journal of the National Institute of Building Science. We will share the published articles in an upcoming issue of the Sustainable Laboratory Times, but you can get an early look by subscribing to Laboratory Design Newsletter and Building Operation Management magazine. The U.S. Department of Energy recently released OpenStudio, a free, open-source platform for energy analysis using the EnergyPlus whole-building energy simulation engine. Developed at the National Renewable Energy Laboratory (NREL), OpenStudio is the foundation for a number of end-user tools that help architects, building engineers, and building energy modelers produce building simulations with more consistent results. The OpenStudio application is a graphical energy-modeling tool that includes visualization and editing of schedules and loads constructions and materials; a drag-and-drop interface to apply resources to spaces and zones; a visual HVAC and service water heating design tool; and high-level results visualization. Check out this new tool and see how your high-performance building measures up. See UMN's Labs in person during the 2013 I2SL Annual Conference. Join the evening tour at the university to get a look at the Cancer and Cardiovascular Research Building and Wallin Medical Biosciences Building or the Physics and Nanotechnology Building. Register for the conference today. Already registered? Just input your registration confirmation number on our registration page to pull up your current registration and add the tour. The University of Minnesota (UMN) is well aware of the impact research facilities have on its bottom line. This matters both as a critical component to the university's missioncontributing substantially to the vitality of the institution, the advancement of knowledge, and the welfare of the stateand as a potential loss when they are not efficiently or properly maintained. Laboratory space accounts for more than 20 percent, or nearly 2.5 million of the assignable square feet on UMN's Twin Cities campus, but research buildings are responsible for 66 percent of the energy costs for supported facilities. Over the last two years, the university has incurred nearly $3 million in financial losses and has sustained immeasurable losses to future research as a result of research freezers failing. Recognizing the importance of these research facilities on campus, several UMN vice presidents this year convened a University Smart Labs Steering Committee that will develop programs and standards for research facilities to reduce energy costs and to more appropriately and effectively manage risks. This committee will facilitate objectives outlined by the university president and advance goals articulated in the University's Board of Regents' policy Sustainability and Energy Efficiency. The committee has already had several meetings that have focused on reviewing strategies from other organizations, and UMN is interested in partnering with peer institutions and/or national initiatives (including I2SL!) to make their research facilities Smart Labs. The Committee's work is hoped to yield energy savings of up to 50 percent in laboratories, significantly reduce risks associated with equipment failure, and enhance the quality of the research environment. Don't let your university's precious research funds go to waste. Contact Shane Stennes, UMN's sustainability coordinator, to learn more about this initiative or visit the registration desk to connect with committee members at the 2013 I2SL Annual Conference. Is DC for Data Centers? In the May issue of the Sustainable Laboratory Times, we promoted an article that was featured in Mission Critical Magazine in February 2013: "AC Versus DC Power Distribution." Get an alternative perspective on AC versus DC power distribution in a recent addition to I2SL's E-Library, "Edison's Data Center: 380Vdc brings Reliability and Efficiency to Sustainable Data Centers" by Guy AlLee and Bill Tschudi. I2SL hopes to see you at the 2013 I2SL Annual Conference. Register before September 13 to receive the discounted pre-conference registration rate, or you can register onsite beginning Monday, September 23, 2013. See you in Minneapolis! 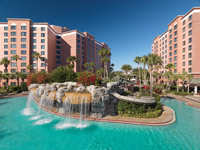 Mark your calendars for the 2014 I2SL Annual Conference, taking place at the Caribe Royale hotel in Orlando, Florida. This 2014 event will occur Monday, September 22, through Wednesday, September 24, with pre-conference events occurring on Sunday, September 21. Registration for the Technology and Services Fair will open in September 2013, so be on the lookout for great early-bird discounts! This fall, make plans to join I2SL's High-Tech Talk on October 17 at 1 p.m. Eastern, where Chuck Yocum, BioFacilities Planning and Management Associates, will present "Going Beyond BIM with 3D Interactive Visualization Software."